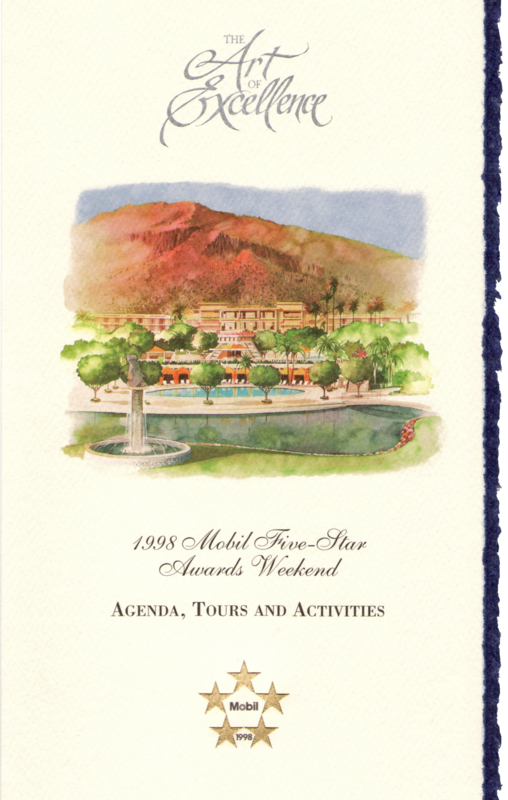 In 1998 The Phoenician hosted a Mobil Five-Star Awards weekend. 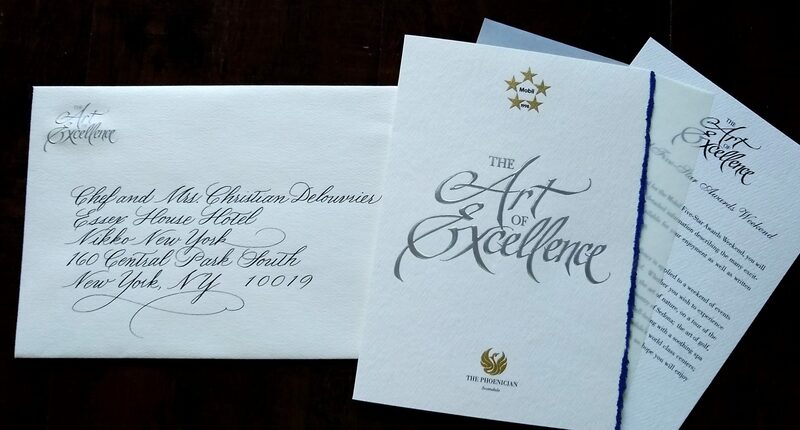 The invitation list included leaders from 40 Mobil Five-Star North American properties, so this very special invitation needed to reflect the high caliber event. Lori and colleagues determined the event theme: The Art of Excellence. 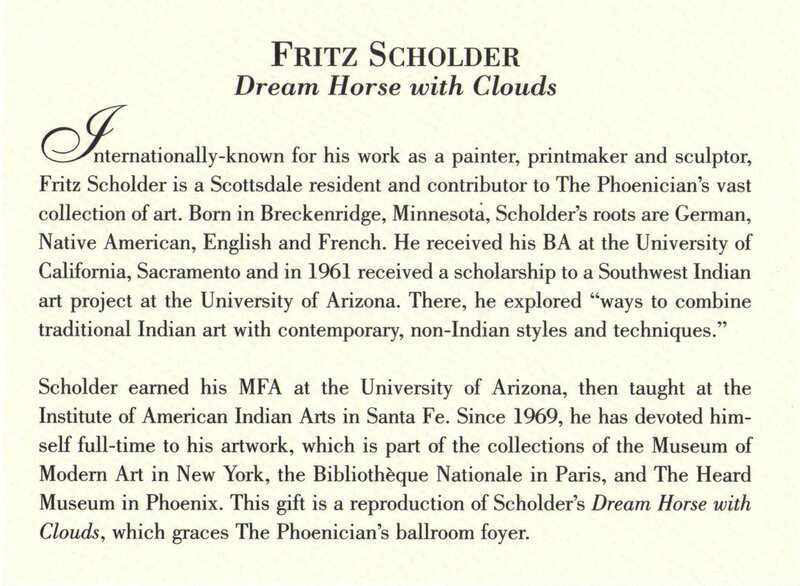 Instead of a typical formal invitation, invitees received a box with a miniature reproduction of a Fritz Scholder painting that was part of The Phoenician’s extensive art collection. 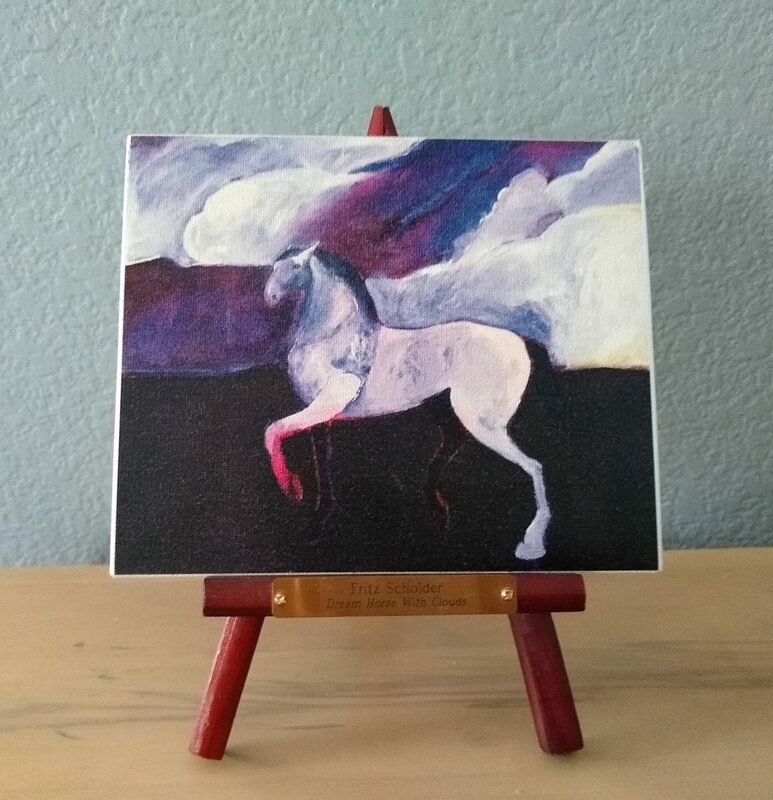 The miniature painting and easel gift was carefully packed into a box and accompanied by an engraved, embossed, foil-stamped invitation on textured paper with a handsome navy deckle edge. 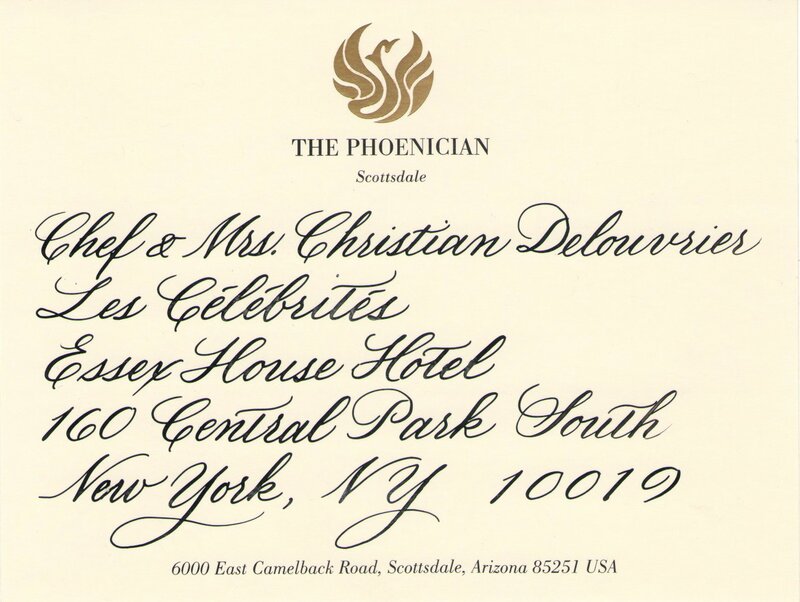 Also enclosed was an rsvp card, envelope and inserts about the weekend and about the featured artist. 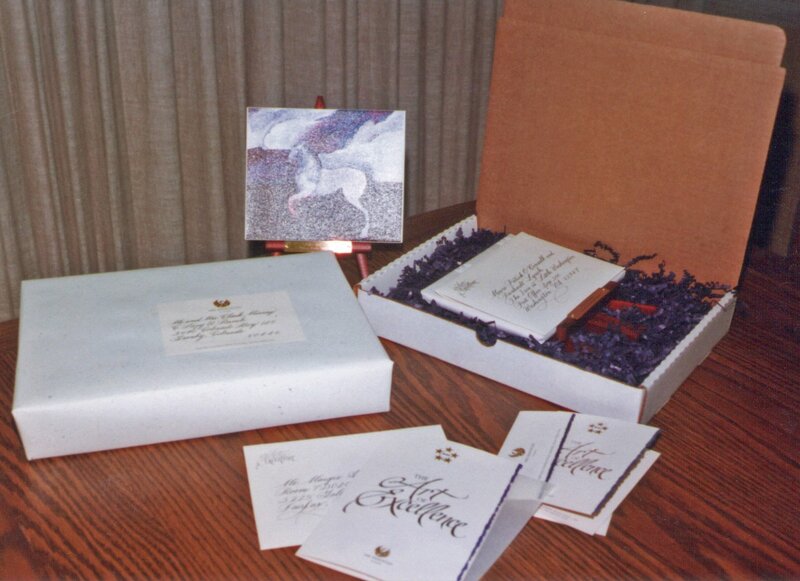 The gift box was wrapped in handmade paper and labeled with a foil-stamped mailing label hand calligraphied by calligrapher, Roxanne Bock. Gift box was packaged for shipment.